Date: Monday 4th September 2017 from 21:00hrs to 22:30hrs. Date: Tuesday 5th September 2017 from 20:00hrs to 21:30hrs. Date: Wednesday 6th September 2017 from 20:00hrs to 22:00hrs. Date: Thursday 7th September 2017 from 17:00hrs – Onwards. Date: Friday 8th September 2017 from 09:30hrs - Onwards. 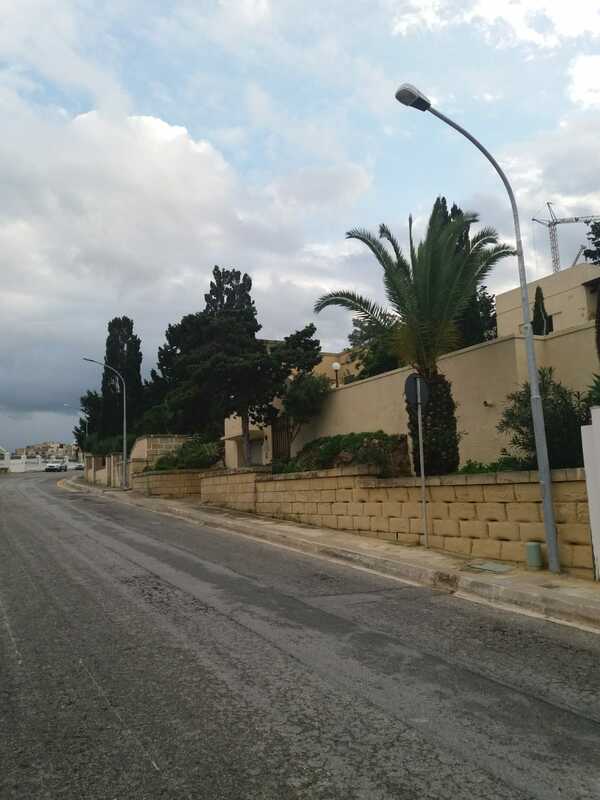 ROAD CLOSURE: GORG BORG OLIVIER STREET – MAIN ROAD. 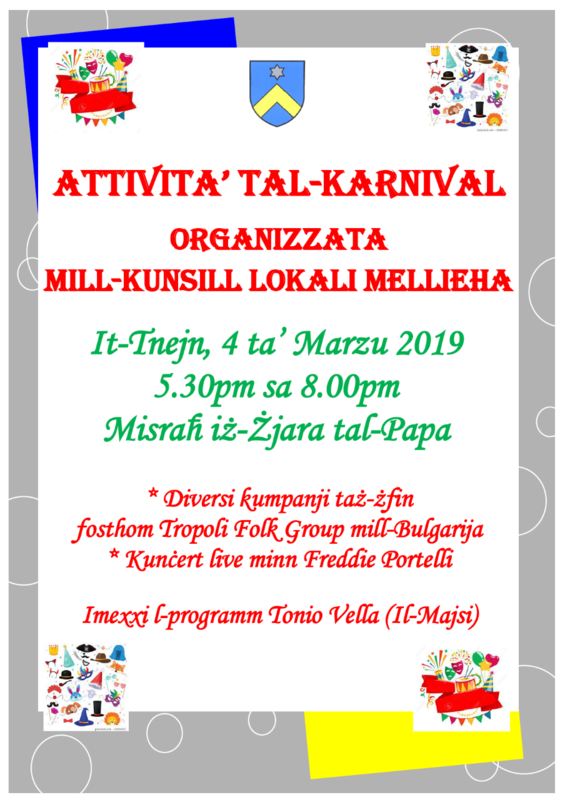 Diversion: Route buses coming from XEMXIJA going towards CIRKEWWA will be serving the BELLEVIEW INTERCHANGE, then they will divert through TA PENNELLU BY-PASS straight down to GHADIRA BAY without serving MELLIEHA CENTRE. The same diversion applies for the return journeys. The roads marked blue are the roads used for the diversion. The roads marked black will not be served. 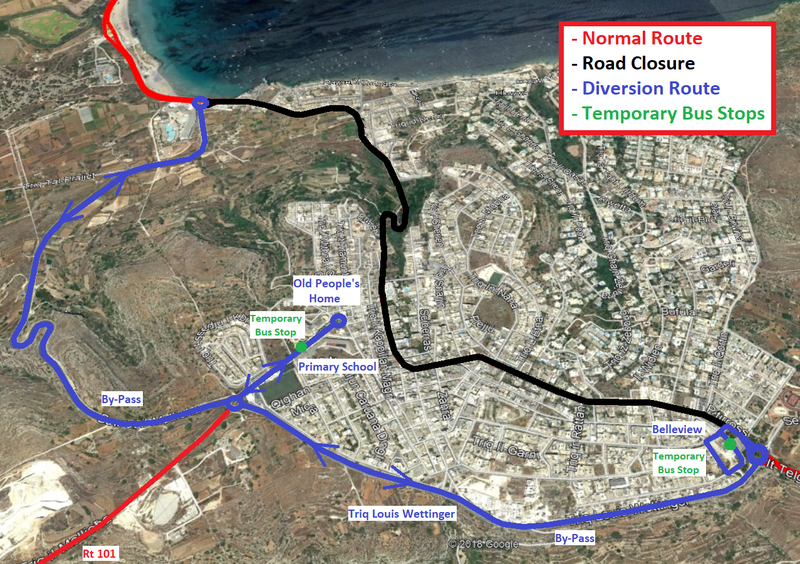 The Mellieha Interchange will be used as a temporary bus stop for both directions.